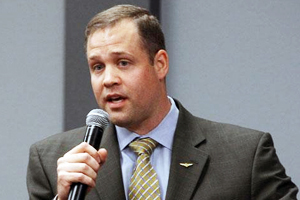 U.S. Rep. Jim Bridenstine (R-OK Dist.1) advanced closer to becoming the administrator of NASA Wednesday as his nomination was approved by the Senate Commerce Committee over the objections of all Democrats in their ongoing rejection of civility. Democrat obstruction of every Trump Administration nominee in this case resolved to a 14-13 vote to send Bridenstine’s nomination to the full Senate, where it will likely face the same irrational partisan opposition from Democrats. “Jim is dedicated to serving his country and is a recognized leader on space and weather issues, making him particularly qualified to fill this position,” said Sen. Jim Inhofe, R-Tulsa, after the vote. 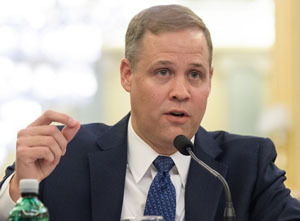 Bridenstine, a 42-year-old Tulsan, faced a long list of questions from the committee Wednesday, few of which involved space according to media reports. Instead, Democrats openly doubted whether the three-term congressman can act apolitically and maintain NASA’s research on climate change thus proving Democrat idiocy if not enslavement to trendy unscientific ideology. 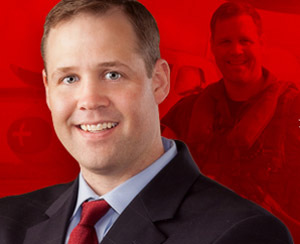 In written questions made public this week, seven Republican senators asked Bridenstine for his opinions on space technology, American space travel and national defense. His answers spoke in support of a continuation of current missions and NASA’s status quo. Click here for more from Space News. This entry was posted in Science on November 9, 2017 by admin.